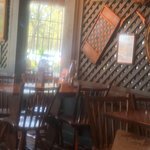 This Cracker Barrel is at the front of the Outlet Park in Smithfield. It is a great place to rest up and eat a good meal in between your shopping sprees. 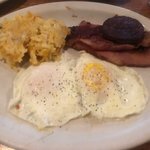 We enjoy their food selections, from breakfast all day to salads, sandwiches and great entrees with veggies. 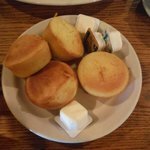 We love their roast beef dinner with mashed potatoes and gravy, fried okra and turnip greens with awesome hot biscuits and golden cornbread muffins. We are usually too full for dessert, but their cobblers surely do look good! No trip to Cracker Burrell would be complete without checking out their seasonal gifts, college ware, toy section, candles and candy section! We do a lot of road trips and with a mother who can always find something to complain about, I knew I had to do something. 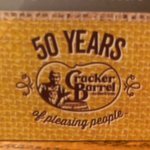 Enter Cracker Barrel! This is our go to restaurant for breakfast, lunch, or dinner. Its homestyle cooking... Fresh and we'll seasoned. 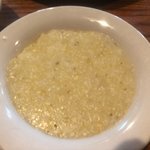 They have a good variety, so everyone can find something they like, from meat eaters to non-meat eaters. Best pecan pancakes in any town anywhere! The waitresses were very accommodating and engaging and their prices are great for the amount of food you get. We left smiling, full and mom was complaint free. 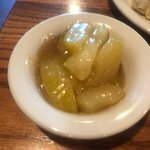 Family of 5 always enjoy our meals at Cracker Barrel. Lemonades are always tart and good, tastes fresh. 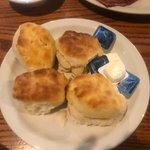 Biscuits are always great served with corn muffins before your entree is served. Entrees come with 2 or 3 sides. There is always plenty of food to take away and we always walk away full. Meatloaf is a favorite as well as the filet of fish options or the chicken dumplings. Staff are friendly. Store front have nice things. 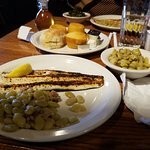 Cracker Barrel was up to par with others we have dined at...decent food at a reasonable price. Gift shop was interesting with many items in case you needed a last minute gift! Casual mid afternoon lunch, food was great as usual. Service was a little off today. We had the daily special of meat loaf, mashed potatoes and corn. Asked for biscuits was served corn bread. Ask for Tea with extra ice, got very little ice and wait person acted like he was doing me a big favor to bring extra ice. 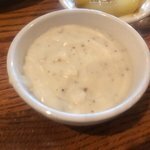 Been to Cracker Barrel? Share your experiences!